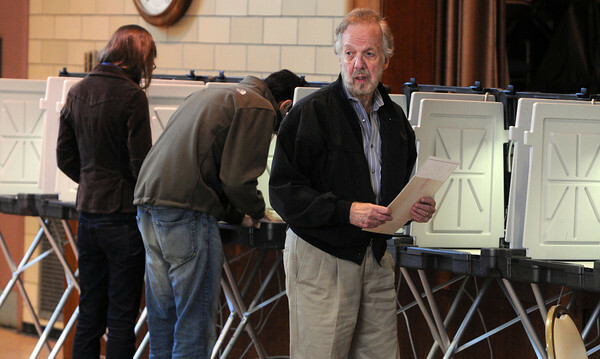 Jim Kilroy, right, just finished marking his ballot at the St. John's Church polling location. In the background voting are Karen Cummings and Mike Mangini. Photo by Ken Yuszkus, The Salem News, Tuesday, September 17, 2013.